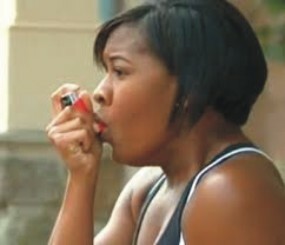 Surviving as an asthma patient is quite difficult, because it entails a lots of dos and don'ts. An asthma patient should not be exposed to a dusty or smoky environment, because it can lead to a severe situation. The good news is that asthma can be comfortably dealt with by employing some tweaks in our diet. Healthy eating and a good diet have lots of benefits it renders to us as a human. If you are asthma patient, i think it is high time you try some of the following diet tweaks that will be listed below. They have been tested by diet experts and proven potent in dealing with asthma. Certain foods that we eat are capable of providing relief, at the same time, prevent asthma attack while a few of them can even makes the asthmatic condition to become worse. Follow the diet tips listed below in dealing with asthma. They are provided by an expert nutritionist, Priya Kathpal. One of the best and natural way of dealing with asthma is by increasing the rate at which you consume probiotics. Yogurt as a readily available and excellent probiotics. Consume a lot of probiotics gotten from yogurt, miso, fermented milk and other dietary supplements. Probiotic is essential in boosting your immune system by building up good bacteria in your gut. Ginger comprises lots of anti-inflammatory compounds, which makes it a powerful anti-asthma herb. It helps reduce the airway inflammation and is thus therapeutic in the treatment of asthma. Ginger can be used liberally in the cooking of food, and another advantage is that it has no side effects. Note: do not replace your asthma medication with ginger, it is wise to just make it an additional food to your diet. Flaxseeds and chia seeds is an excellent addition to your anti-asthma diet because they are rich in omega-3 fatty acids. Omega-3 fatty acids is favourable in the reduction of inflammation and it also helps in dealing with the symptoms of asthma. A diet that has low salt helps in improving the functioning of the lung and it also decreases the symptoms of asthma. A perfect way of reducing the rate of salt intake in our diet is to cut down the consumption of processed and refined foods and eat a lot of fresh vegetables. Magnesium helps the smooth muscles of the lungs to relax and not contract. So, it is therefore advisable that you include a lot of magnesium in your diet. Some foods which are the best source of magnesium includes; Cashews, Bananas, Brazil nuts and beans. If you are preparing a grilled fish or cooking some chicken, you can sprinkle some dried rosemary leaves on it. It will not only enhance the taste, but it can also help in reducing the asthma symptoms. Rosemary leaves is enriched with a substance called rosmarmic acid which helps in fighting free radicals and also blocks the production of pro-inflammatory chemicals that trigger asthma. How many of you are aware that Mediterranean diet can be very healthy for asthma? If not the healthiest. Employing the usage of omega-3 rich olive oil in the Mediterranean diet reduces the risk of asthma attack. Because of this advantage therefore, replace your vegetable oil and other fats with extra olive oil. In order to maintain the beneficial and dietary nutrient present in vegetable oil, ensure that you do not heat it in high temperature. The nutrients got damaged during the process of overheating. Allergy and intolerance to milk is very common amongst asthma patients. If you have intolerance to cow's milk and some other dairy products, it is best you avoid them. Reduce your intake of raw foods like lettuce or apple, because they are capable of triggering asthma. Eating foods that are cooked can reduce the risk of developing allergy symptoms. So, if you are asthmatic, it would be advisable to cut down on salad intake and opt for baked apples instead of raw ones. Reduce your intake of omega-6 fatty acids because an excess amount of it can result to an increase in the inflammation of the body by producing inflammatory prostaglandins. Foods that are rich in omega-6 fatty acids and which you should avoid includes; pumpkin seeds, sunflower oil, walnuts, sesame seeds and peanuts. Food additives and preservatives have been proven to trigger asthma. Substances like MSG (Monosodium glutamate) and sulphides present in the additives and preservatives can worsen the symptoms of asthma. Food additives also increases the chances of being overweight. And are you aware that there is an increased chances of developing asthma in women with an increase in weight? Still in the act of dealing with asthma, in addition to good dietary habits, you can also incorporate yoga in your daily living. Yoga also helps in dealing with asthma. Exercising on an average of 30 minutes on a daily basis can also help in dealing with asthma.